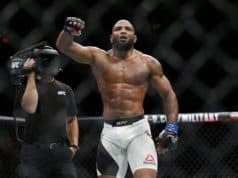 A fight between Yoel Romero and rising UFC middleweight Paulo Costa has been in the works for the past several months. Unfortunately, the fight has hit a roadblock at nearly every turn. Now, it looks like it could face yet another. According to ESPN’s Ariel Helwani, the UFC is targeting Romero vs. Costa to headline UFC Florida on April 27th from Sunrise, Florida. However, there’s a chance that may not happen. Romero is currently competing on a reality show in which he tests his skills on various obstacle courses. The show lasts between three to four months. Romero won’t be able to leave until he’s eliminated or he wins. If either of those things don’t happen before the show, Romero will be replaced by Ronaldo “Jacare” Souza in the main event instead. 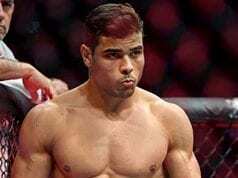 Costa is one of the UFC’s fastest rising stars. He is undefeated at the moment with a record of 12-0. 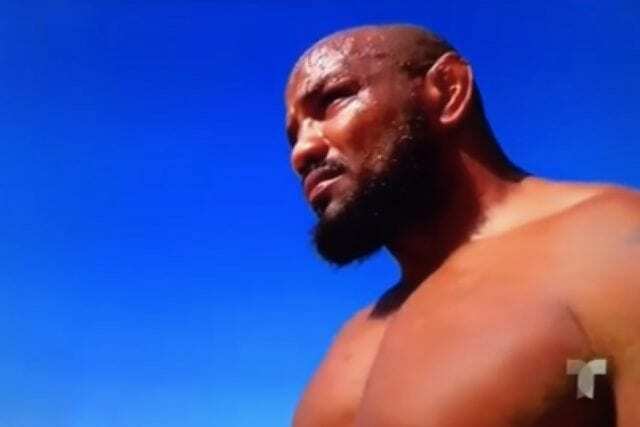 During his UFC run, Costa has earned wins over the likes of Oluwale Bamgbose, Johny Hendricks, and Uriah Hall. Romero’s last fight took place at UFC 225 in June. He suffered a split-decision defeat to Robert Whittaker after five amazing rounds of fighting. Initially, the fight was to be for the middleweight championship. However, since Romero missed weight for the contest, the fight was changed to a five-round main event.